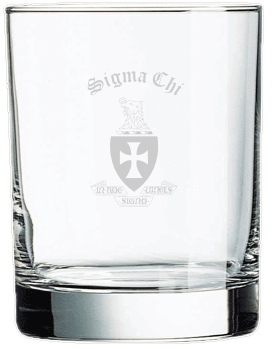 The Design Your Own Engraved Rocks Glasses allow you to create beautiful and functional works of art at an affordable price. 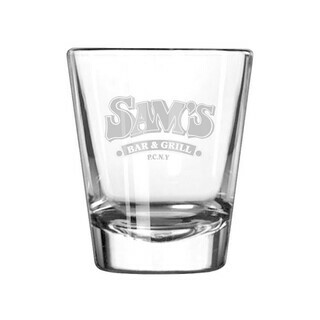 Our rocks glasses hold 12-ounces, have straight sides and a weighted base. 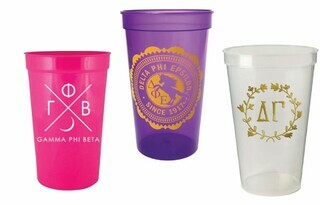 The glasses are engraved with your own custom design and make great party favors, gifts or keepsakes. 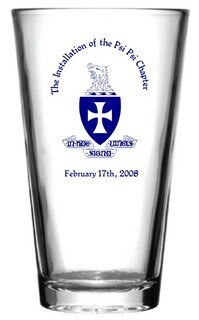 At Greek Gear, we're big on quality and our engraved glassware is made using high-precision instruments, so your designs will look as good on the glass as they do on the computer screen. To get start creating your own design, simply click on the blue "Customize This Product" button. There's no obligation to buy and entering our online design tool will give you access to our full selection of Greek letters, clip art images and crests. Mix and match to create a design that perfectly represents your group. 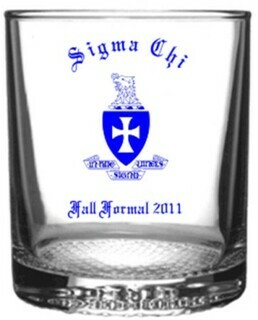 Engraved rocks glasses are priced low and have no minimum order size.